Suzanne Bonamici is a Congresswoman from Oregon. Suzanne Bonamici and her husband Michael H. Simon, a Federal judge, have been married for twenty-seven years, and live in Washington County. Suzanne Bonamici grew up in a small town in Michigan. Her father worked for a local bank and her mother was a small business owner and piano teacher. After graduating from high school, Suzanne moved to Oregon with friends and settled in the state. She put herself through college, first at Lane Community College and then at the University of Oregon, graduating with a Bachelor of Arts in Journalism. Following college, she went on to law school at the University of Oregon and earned her J.D. degree. During college, Suzanne worked as a legal assistant at Lane County Legal Aid in Eugene. It was there that she discovered her interest in and passion for consumer rights. 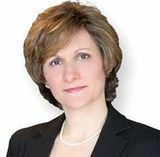 After graduating, Bonamici worked as a consumer protection attorney for the Federal Trade Commission in Washington, D.C. She was assigned to the financial services division that works to protect consumers from predatory or discriminatory lending practices. Suzanne met her husband Michael while living in Washington, D.C., and in 1986, they moved to Washington County. In Oregon, she entered private law practice, where she specialized in representing small businesses. After six years of practicing law, Bonamici took a career break to raise her children. She became active in the community, volunteering for education, arts, and civic organizations like the Classroom Law Project, Beaverton Education Foundation, and several theaters. Her school advocacy work is what first took her to the Oregon State Capitol, attending rallies in support of education and leading her to a decision to serve publicly. Suzanne Bonamici started as a legislative assistant in the Oregon House of Representatives in 2001, followed by her first campaign in 2006 when she was elected to serve House District 34 of Washington County. After only one term in the Oregon House, she was appointed, and then elected, to the Oregon Senate in 2008. She was reelected for a second term in 2010. She was chair of the Consumer & Small Business Protection Committee and a member of the Education & Workforce Development Committee. She is recognized as the leading voice for mortgage reform, introducing legislation that ensures homeowners facing foreclosure receive timely information about how to request a loan modification and provides them recourse if there is a violation. The Women’s Investment Network Political Action Committee, or WIN-PAC, was founded in 1987. For more than 20 years, WIN-PAC has raised tens of thousands of dollars each election cycle to help pro-choice Democratic women running for the Oregon Legislature. The founding “mothers” of WINPAC were Betty Roberts (former legislator and first women to serve on the Oregon Supreme Court), Jewel Lansing (former auditor for Portland and Multnomah County), Gretchen Kafoury (former legislator and city and county commissioner), Darlene Hooley (former county commissioner, legislator and Congresswoman), Maureen Leonard (then Oregon Supreme Court clerk), and Patricia McCaig (then assistant to Oregon Secretary of State Barbara Roberts). Founded two years after EMILY’s List, WIN-PAC endorsed its first candidates for office in 1988. WINPAC was originally non-partisan, but changed its endorsement criteria in 1994 to support only Democratic women candidates. WIN=PAC contributes dollars directly to pro-choice, Democratic women legislative candidates and collects checks made out directly to their campaigns (known as “bundling” in the political fundraising world). Successful WIN-PAC candidates have transformed the public policy debate in Oregon. WIN-PAC endorsed Suzanne Bonamici in 2006 and 2008. Suzanne Bonamici farewelled Gretchen Kafoury on Twitter, March 14, 2015. The Oregon State Council for Retired Citizens and the National Committee to Preserve Social Security and Medicare both announced Nov. 12, 2011 their support for Suzanne Bonamici's campaign for Oregon's First Congressional District. Together, the groups represent more than 7,000 seniors in the First District. "Suzanne Bonamici is the only candidate in this race who Oregon seniors can trust to protect the promise of Social Security and Medicare. Her opponent, Rob Cornilles, has said he would make cuts to Social Security and Medicare before the defense budget. He supports the Simpson-Bowles proposal, which recommends cuts to Social Security, and has also answered that he wouldn't support prescription drug price negotiation in Medicare, despite estimates that demonstrate it would save more than $200 billion over 10 years. Suzanne will bring the right priorities to Congress and will work hard for Oregon's seniors to ensure that they receive the benefits they have worked a lifetime to earn." Steve Weiss, president, Oregon State Council for Retired Citizens PAC. The Alliance for Retired Americans Political Action Fund endorsed Suzanne Bonamici in 2014, also 2012. In 2012, Bonamici was listed as a member of the Congressional Progressive Caucus. Bonamici has taken strong progressive positions on foreign policy and defense issues. She believes the United States has a moral obligation to lead international efforts that will reduce nuclear weapons stockpiles. In addition to creating a safer world, this kind of leadership will help to improve the reputation of the United States around the world. Bonamici supports ratification of the Comprehensive Nuclear Test Ban and opposes developing new nuclear weapons systems. She supports continuing and enhancing diplomatic relations with Iran and the use of economic and political incentives to dissuade Iran from developing nuclear weapons. She believes that our troops have done their jobs in Iraq and Afghanistan and it is time to bring them home. In 2013 Progressive Democrats of America assigned activists to deliver their material to almost every US Congressman and several Senators. Susan Bidari, was assigned as contact for Rep. Suzanne Bonamici. In June it was Dan McFarling. Signatories included Rep. Suzanne Bonamici .. The socialist infiltrated, anti-Israel "two state solution" JStreet PAC endorsed Suzanne Bonamici in her 2014 Congressional race. JStreet endorsed her again 2016. Having traveled Israel with her family, Bonamici is an outspoken supporter of a two-state solution. JStreetPAC is excited to support Congresswoman Bonamici for a third time in 2016. Congressional supporters by January 11 2019 included Suzanne Bonamici. By February 20 2019 endorsers of Alexandria Ocasio-Cortez's HR 109 (Green New Deal) included Suzanne Bonamici. This page was last modified on 18 February 2019, at 01:10.